Today, ikat is everywhere. Over the last year there as been an ikat explosion in both interior design and fashion. In the May issue of Elle Decor the exotic motif is featured in the magazine’s trend alert section. With some beautiful images of homes that incorporate this global pattern seamlessly, we can see that this ancient weaving technique is alive and well in today’s modern interiors. 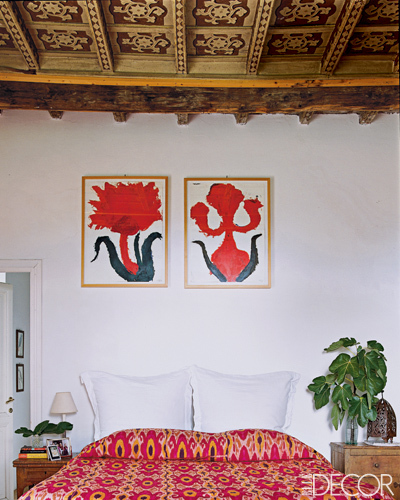 A colorful ikat duvet absolutely enlivens a space with rich hues and texture. 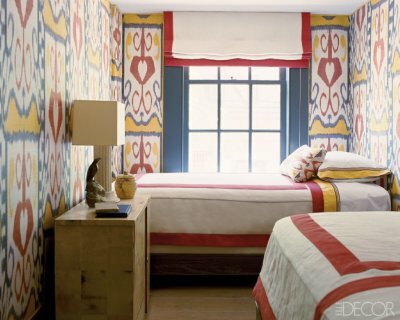 Bold walls in a vintage ikat pattern make a statement at home. And my own Haze Mimosa pillow offered in the AphroChic Shop is a modern tribute to the beauty of ikat fabric. 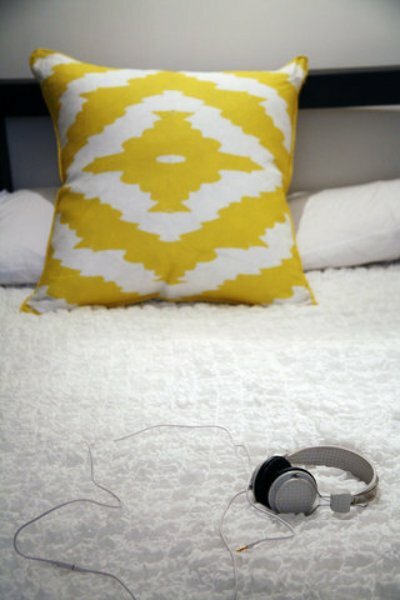 Digitally printed, this ikat pillow brings a bright pop of color into the home. Visit Elle Decor too see more lovely ikat finds. So what do you think about the ikat trend? Is there a place for this global pattern in your interior?